Over the last nine months everything has been a first for Emerson and us as parents. 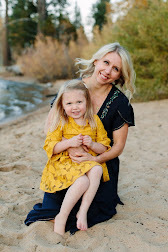 It's been so fun being her mommy. Look at that face, how could it not? It true fashion I dressed her up and snapped just a few photos of her with her pumpkin. Oops we forgot to carve it. Whomp, whomp. She wasn't too into taking photos. Girlfriend just wanted to play with pine needles. Halloween night we met up with the Schue family for a little trick-or-treating. It was hard wrangling all the kiddos for a photo. Below is the best photo from the night. Psst: There's still a few days left to enter the Mighty Nut giveaway! Enter HERE. Such an adorable ladybug. 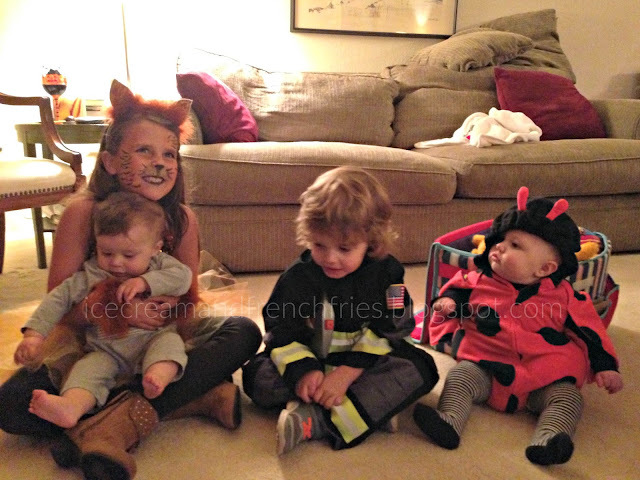 Glad it was a fun first Halloween! 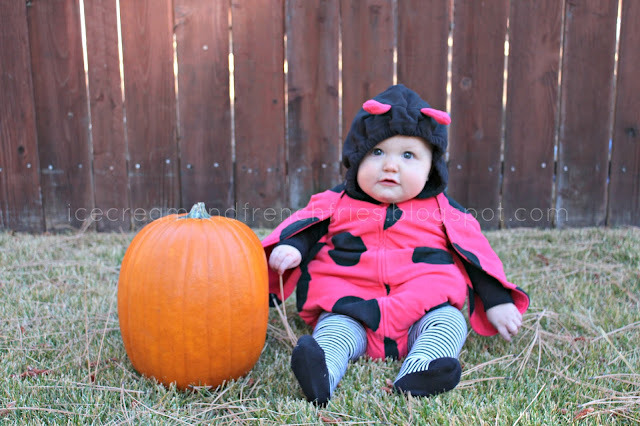 Cutest ladybug there ever was! She is so gorgeous! 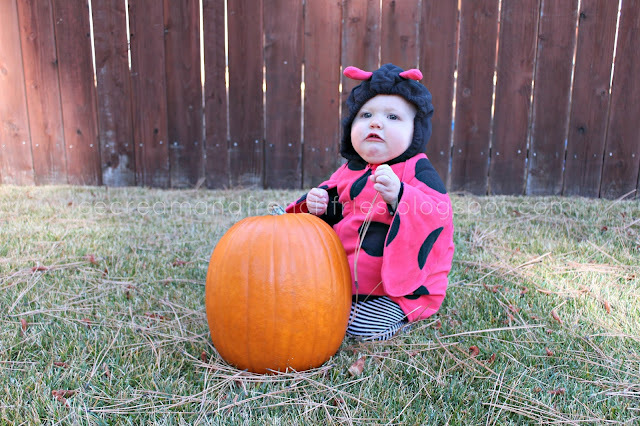 What an adorable costume!!! 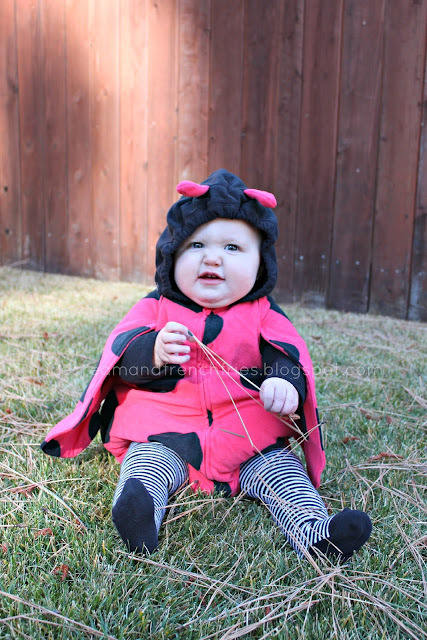 Emerson as a lady bug makes my heart melt.